I wouldn't win a contest of answering Starwars Trivia. I hadn't quite studied nor really tried to understand the starwars universe beyond the movies and the information I'm reading within the SWTOR website. I know the various organizations, some knowledge of the different systems, but nothing concrete and I wouldn't know everything. I've been with a few guilds some basic leveling guilds or raiding guilds on WoW, nothing that stood out in roleplay, and it grew dull and rather disapointing, the same could be said about Guildwars. However, when I got to City of Heroes, I grew to enjoy the Roleplay community. I joined several guilds over the years I was there. Survivors of Vega, Children of the Night (Both of those have since been disbanded due to the leaders actions) I currently run a Herogroup called Apparition Abbey and I still maintain relations there, and it is a HeavyRPSG. I'm not sure what role I would like to take, I do enjoy being an officer or being a go to person for certain affairs. I've a lot of leadership experience, and roleplay experience to go with it as well. I do not expect to accomplish such roles in the near future and I figure I'd have to earn them as I always have. Still it would be nice to belong to a community and see where it takes me. I searched for a couple days and looked at descriptions and websites of various guilds, trying to find one I can belong to. I don't desire to start my own guild, and rather belong to one that is currently trying to grow. I like to Rp as it seems to keep the game fresh and I came upon this one recently and I feel it may have what I'm looking for. I'm after meeting friends with similar interests. Roleplay, PVE, and PVP, teaming. I'm also after just a community to belong to. I'm not entirely what to expect in SWTOR, I enjoy crafting storylines for individual characters, and individual personalities. I like to see their personalities show through. My roleplay experience dates back from when I was 12 when I first learned how to play Dungeons and Dragons 2nd Edition. I've since done various tabletop, and video game RP areas. Most Dominate in Neverwinter Nights, and City of Heroes. When I run the Abbey they had Mission Architect, so I often tried to lead group teams into doing these written stories of various tasks, some longer then others. It worked well in keeping members interested. I'm a writer, and I'm experienced in leading Guilds or various communities. I'm a good mediator, and I tend to be able to solve most dramatic problems that may happen between members, usually with an open mind. Listening to a problem, and getting all sides of the story before making a judgement is pretty much one of my best traits, I've a lot of patience for such things. Active, respectful to fellow members, participate with events, or stories. Know the difference between OOC and IC character relations and not take things out of context, even if someone plays somewhat a ...jerk of a character. I found it by accident, I sort of mentioned earlier in a question, looked around the SWTOR Guilds section under RP, and was searching for an RP Guild that actually RPd. Believe it or not it wasn't that easy to find. I saw it was more open in terms of concepts and it just seemed the best choice. Well, I went through the forum and found what information I could on your rules and guidelines. I read them over, like no pointless topics or posts just for the sake of posting for post count, I got a general idea of having good mature behavior. I was on the Chat-room Briefly, but there was only one person there and they were relatively silent. It said it was member only and I can only send tells privately. So I may try again there later. 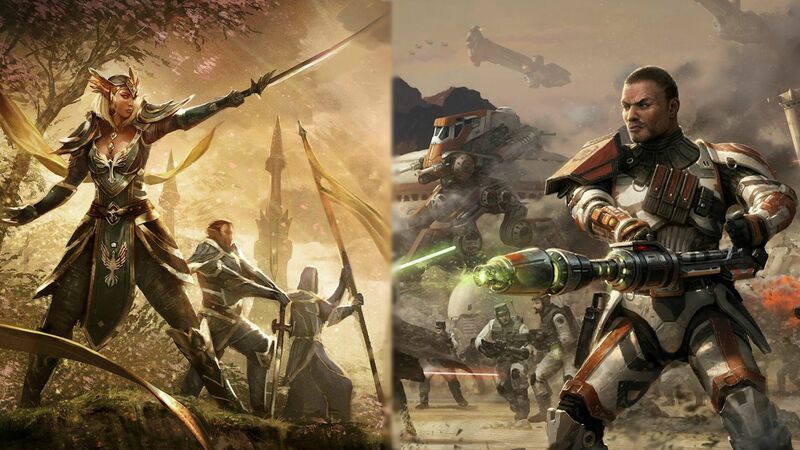 As for finding the Mission Statement, or the main website, I only got the link from swtor.com and I'm trying to find that still. I plan on reserving a copy, and playing actively once the option becomes available. So I accept. I believe I do, I've taken responsibility for my own members running a supergroup. I've written, worked, and catered to my fellow members. I am also a very rational and very logical person. I got a sense of humor, but it's nothing to bad and I'm careful what I say as to offend. The closest experiences I have are when I run the Abbey, I try to interact with the members as much as possible, often times I ask what they are up to, and see if I could join them. Typically I take a character that best suits their current needs and I help them out. I can't say I've helped strangers often, but I'm always offering to help. Judging by most circumstances the relay would already be well guarded. They probably have a fair amount of defenses in place that might otherwise prove difficult, as no mission is easy. Alerting the relay would make things harder there and they have advantage of home ground. The camp could become a priority, Still, I'm thinking I would try to take the relay first in preferably a stealthy manner, if at all possible prevent any cause for alarm, hopefully able to prevent reinforcements from arriving from the camp. The mission objective typically takes priority so I'd rather go straight to the source instead of taking any detours. I'd also set a trap, I'd set traps around the camp, so in-case they are alerted they are stalled or perhaps feel they are surrounded long enough to complete the mission. If anything it will buy time to make a defensive procedure of our own. I'm a writer, I particularly write in the Fantasy Genre, but I branch out to dramas and short stories, grammar is still my weakness. I am one of those people almost everyone gets along with, I have a good sense of humor, and I have a habit of making many people laugh. I sometimes come across as shy or things at first, but as I gradually get into things it's learning how to shut me up is the trick (Not that you'd really need to.) I've been a Dungeon Master, a Storyteller for various RP chats, NWN I was a Head DM and I coordinated with the online community. I ran Apparition Abbey in City of Heroes, so I've taken a lot of important positions wherever I've gone. To follow up on that also, I've had my administrative license in personal home care. So I've legitimate business experience there as well. Well, I hadn't really planned out a character until I saw the game more so, but I decided for this application to try and create something. -Character Physical/Mental Features: Physically: Healthy and athletic, she seems strong willed, and motivated, sometimes excessively so. Klara was born on a planet in the Outer Rim, around the area of Tion. She was particularly a nice young girl, and she was often heralded for being good at just about anything she put her mind to. She developed faster then most her age, and often times was out casted by the other children her age. By the time she was 8, she was on her way to Tion, when a band of Slavers/Bounty Hunters came across her family. They forcibly took them, and prepared to embark to take her to the Hutts. Still, like many new merchandise, they took her to a station, where they started breaking their will. They also wanted to infuse chips into their brains to prevent their escape, giving them prepared and gift wrapped for the Hutt's own amusement. She was separated and kept apart from her parents, there were rumors they were escorted off the station or even killed well before they had the chance. As Klara was brought into the chamber to have this crazy procedure done, the station had started to shake. Klara found herself thrown on the floor from the sudden jolt, and it gave her a momentary chance to flee those who held her. The shaking continued and the Republic seemed to have stormed the station of the slavers. Although this chaos was happening she was still but a young girl, she wasn't quick enough to get away from her pursuers. Once they caught her they dragged her into a secured room with several other slaves. It wasn't long before the battle was brought to the room, and light filled the area as the door was being melted from the outside, with what looked to be a light-sabre. It was there she met her first Jedi. He was quick and surprisingly fast, able to predict their moves, block the lasers that targeted him. It was something of a site to behold. He cut down several of the men before they changed their targets to the slaves, only thing that saved Klara in that instant was how she bit the man's hand before he fired the trigger at her, as if she too predicted it. This sparked an interest, but sadness in the man's eyes as he had failed his mission to rescue hostages. He was glad just one survived. It was Later discovered she had the potential to become a Jedi, not long before she went with the Republic, she was taken in with many of the orphans and began her training. She is now in her mid twenties, and is finally being sent on missions. Her determination, and her sense of justice is a huge part of her now. She remains loyal to her fellow comrades, and she still to this day hopes to be reunited with her lost parents. Your Application is now under review by the Recruitment Council. You will typically receive a response in 48 hours or less. PS: The reason you are unable to locate our main website is that it is down for major reconstruction. That was quick, welcome to the guild. An hour and ten minutes between the Grand Master's posts. Is that a new record? Anyway, Welcome to the AL. That was quite faster then expected, thank you for giving me this chance. Look forward to meeting everyone. 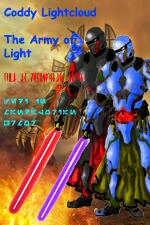 Congratulations on your acceptance and welcome to the Army of Light. If you have any questions about what needs to be done to complete the trial period, any general questions about the guild, or you're just looking to chat, don't hesitate to send me a Personal Message (PM) here on the forums of find me in chat, I'm around throughout the day.